Express Movers is a premium moving company in Lagos, Nigeria. We sell empty cartoon boxes and they come in different sizes. Our moving boxes are Affordable and durable. Carton Boxes: How many Do You need for a Move? Underestimating the number of moving boxes you need is a common home moving mistake. 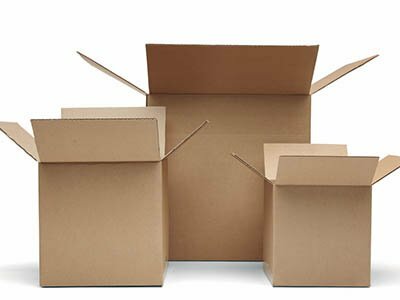 A) What type of carton boxes are best for moving home? B) What packing materials do I need when moving home? C) What are common packing mistakes and how do you avoid them? Factors To Consider Before Estimating The Numbers of Cartoon Boxes Needed. Number of Bedrooms: First thing to Put in consideration is the number of Bedrooms or Offices; is It a small studio, A bedroom or Self Contain or a 4 Bedroom Flat, The more the rooms inhabited the more boxes needed to Pack Items. Number and type of People Living in The House: The number of people living or inhabiting the place determines the number of boxes need to pack everyone’s belonging; a particular number of boxes for each person and Apart from the number of people, It is widely known that Females have more luggage than the Males. Therefore you also have to put these in consideration also. Relative Amount and Types of items in the House: This is the x-factor. Are you a minimalist or a collector? We all have different relationships to stuff. General Rule of Thumb: The longer you have lived in your home, the more stuff you will have accumulated. If you have lived in your home for more than five years. Also, check with your moving company to see if they buy back unused boxes or will give you a discount on used boxes. How Many Boxes do I need to move a 1 Bedroom home? How Many Boxes do I need to move a 2-3-4 Bedroom home? Using the statistics above you can use this to calculate the number and multiply it considering the above factors with that you should know if you should multiply and add extra or Reduce, It is all affected by considering the factors. 5 People living in a 3 bedroom flat can have lesser Luggage’s compared to 3 Girls living in a 3 Bedroom flat. How Many Boxes do I need to move a Office? To save all the hassle of calculating how many boxes you need to move home and then having to source all the packing materials for your home move, why not just hire Express Movers to do all the hard work for you? We will supply all the materials needed and pack your home contents in far less time than it would take you. We have the skills to pack your delicate and precious items so that they do not get damaged during your home move, and we know the best packing materials to use. Without a doubt packing is the worst part of moving home, leave it to the professionals if you want a stress-free home move.